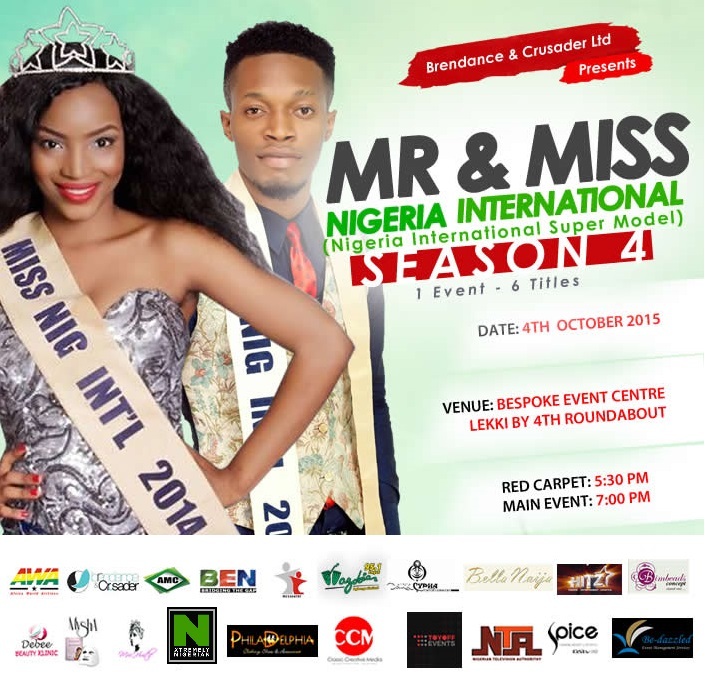 MR AND MISS NIGERIA INTERNATIONAL SEASON 4 PRESS RELEASES on Date Of Event And Sponsor. Social media voting for the 'Miss Popularity' award begins in earnest on Instagram and Facebook platforms. Africa World Airlines, Brendance and Crusader Ltd, Accretint.com ,Souirezz, NTA, Nigezie, BEN TV UK, Dark Cypha Entertainment, MrsHustle.com, Prime TV, AMC TV, Wazobia TV, Cool TV, Bella Naija, Deebee Beauty Klinic, Spice TV, Hitz TV, Philadephia, Das Imagery, Ben Dazzled Event Management Service, Bokissonthrone.com, Citilodge Hotel and many more.